Purple Essentials - Natural Skin Care for a pure and simple life! : 25% off all online orders - Website Launch Special!!! 25% off all online orders - Website Launch Special!!! 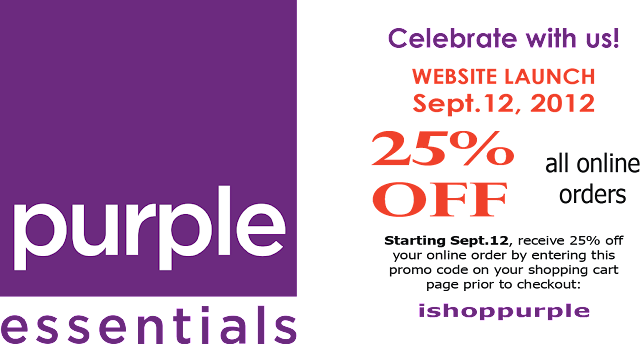 Purple Essentials' Official Website Launch!! For months and months now, we have been working on creating our new "Home on the Web" - an e-commerce website to showcase our hand-crafted, fresh & natural personal care products, made from only pure and simple ingredients ... and, we are finally finished! 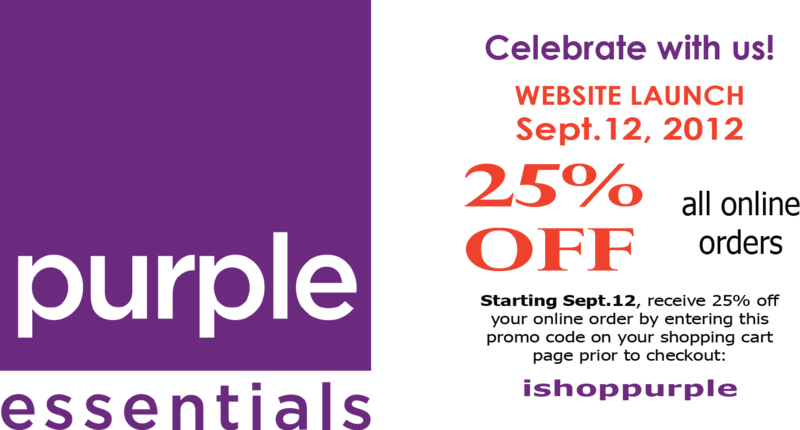 25% off all online orders - One week only - September 12-18 Simply enter the ishoppurple code into the promo code box on our shopping cart page before checkout. WE PAY THE TAX - September 12 to October 12 - save an additional 13% for the first month of our website launch. Purple Essentials combines the natural science of aromatherapy with pure and simple ingredients from around the world, to offer you fresh & natural products with long lasting benefits. Each one of our personal care products is handcrafted in small batches, using nourishing ingredients and pure essential oils. Our extensive line of natural products includes something for everyone ... including a recently released line of premium Baby products. Shop Purple - Live Purple!